Thailand's largest island, Phuket lures both die-hard divers and casual beach lovers interested in spending most of their time basking in the sand and munching on local delicacies. Picturesque lagoons and an abundance of modern amenities may be the main incentive for a Phuket vacation, but you can find plenty of other things to do here once you get your fill of sun and sand. Away from the busy waterfront, the island boasts many gardens, Buddhist temples, museums, and aquariums that deserve a top spot on any traveler's Phuket itinerary. Phuket is in Thailand. 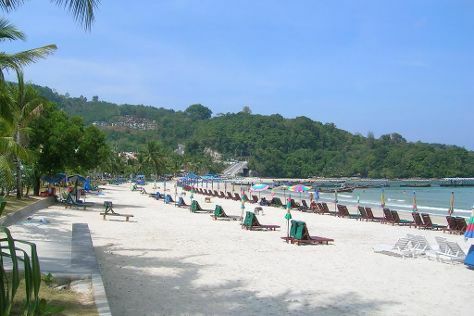 Use our Thailand online vacation planner to arrange your visit to Phuket and any other destinations in Thailand that take your fancy.